Downtown Pet Hospital opened in March 2005!!! This hospital is built on the location of the first veterinary clinic in Orlando, which was established in 1937. The practice, originally opened by Dr. W.M. Lynn in 1926 out of his home, was continued by his nephew Dr. D. Lynn at its present location. Initially, Dr. Lynn serviced both small and large animals, with horses and cows being brought up to his door! Please come by our clinic to see this progression in pictures! 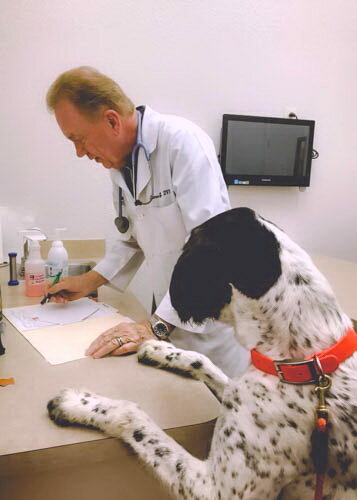 Downtown Pet Hospital's new veterinarian clinic is state of the art, with 3 examination rooms, in-house CBC and chemistry machine, laser surgery center, therapy laser, digital radiography, dental machine, a stocked pharmacy, as well as boarding facilities. We have a functional treatment area, where we can monitor intensive care patients and post-operative patients, as well as performing needed treatments. 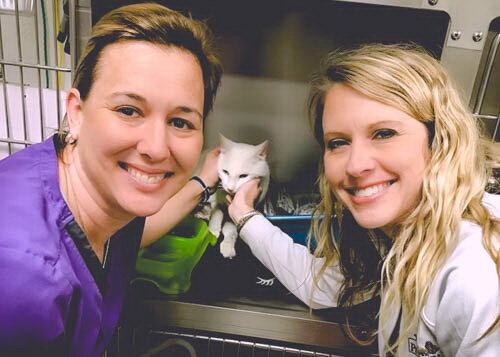 Surgeries & treatments offered include dental prophylaxis, spaying & neutering, laser declawing, fluid therapy, blood transfusions, as well as other soft tissue and orthopedic surgeries. We also have a digital radiography machine, which enables high quality x-rays rapidly. Our CO2 Laser enables more efficient and less painful surgeries! We also provide the newest standards of therapy regarding pain medication before and after surgical procedures. Finally, our in-house blood work machine enables rapid diagnosis of problems, as well as evaluation of organ function prior to anesthesia for surgery. We also have a new Class IV Therapy Light Laser, which is the latest veterinary technology in healthcare for your pet. This is an FDA cleared, deep penetrating light laser for the relief of pain. It is helpful for the following conditions as well as many more: arthritis, hip dysplasia, skin conditions, and wound healing. Our pharmacy is fully stocked, and contains a wide range of antibiotics, antifungal, anti-inflammatory, shampoos, dips, ear & eye medications, skin medications, flea medications, heartworm preventatives, as well as food.